ENJOY CAREFREE LIVING IN THIS NEW BUILD TOWNHOME! 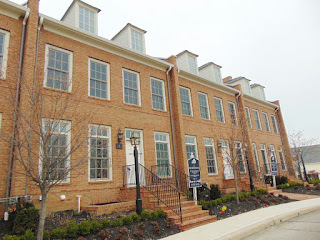 Only steps from New Albany’s epicenter, offering dining, shopping and the arts! Beautiful high end finishes with an open modern feel! 3 finished levels of living, which include 2 Bedroom Suites with their own private Baths and Walk-In Closets. Huge Kitchen with tons of space to entertain. Finished Lower Level with egress window and a Bath rough-in. Home also features an elevator rough-in. This fantastic home has a large, charming balcony deck. 2 BRs, 2 Full and 1 Half Bath. New Albany Schools. Only $499,000! Call DeLena today!